Bimah setup: Sunday, August 26, at 9:00 am. 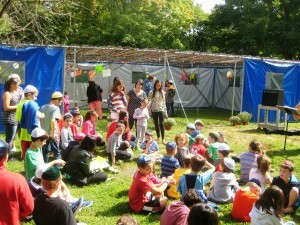 Sukkah setup: Sunday, September 16, at 9:00 am. Bimah take down: Sunday, September 23, at 9:00 am. Sukkah take down: Sunday, October 7, at 9:00 am. Refreshments will be served, compliments of the TBE Men’s Club. For the Sukkah setup and take down, parents of religious school children are encouraged to participate. All volunteers are asked to bring work gloves and, for those helping with the bimah construction and take down, ¾-inch wrenches or socket wrenches. Please note that some heavy lifting may be required for the bimah, but there are other jobs needed as well. If you have any questions, please contact Stuart Nekritz at (203) 322-0872 or ssnekritz@gmail.com.